A ring of external spotlights flared to life, revealing the floor of the Mariana Trench a few metres below us. The backwash filled the observation room with a cold grey light… As one, they gasped at the sight. I didn’t blame them – even though I’d seen it dozens of times, it still caught the back of my throat. Donnie could feel himself beginning to shake. He clenched his fists, fighting the tremors. For a moment, he back-flashed to October last year: River Phoenix, on a Hollywood sidewalk, dying. No resurrection from the flames that time: no one was reviving dead movie stars. 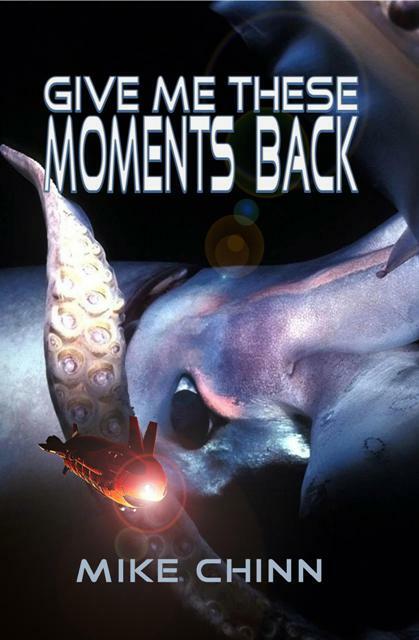 Give Me These Moments Back is now available from Amazon and other good online booksellers.